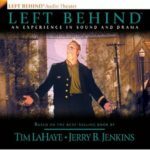 Behind questionable end-times views and style, the “Left Behind” series is fine pulp-thriller fantasy. In just one week the new Left Behind film1 comes to theaters. All that aside, this time I’m here to say: Actually the series is still kind of awesome. Of note: I have a unique perspective on Left Behind (hereinafter LB to describe the whole series). I haven’t read the books in several years. And in fact I may have only read the final volumes only once apiece. After Armageddon and Glorious Appearing released, I switched to enjoying repeats of the LB story by listening to the dramatic audio series by GapDigital, a group of chaps in Chicago — I actually once toured the studio — who arrange epic sound mixes for thriller movies, only without the movies. The dramatic audio (DA) series was adapted by Chris Fabry (who’s now a radio host), and director/engineer/producer Todd Busteed (who’s now a race/marathon announcer, though GapDigital is still around). 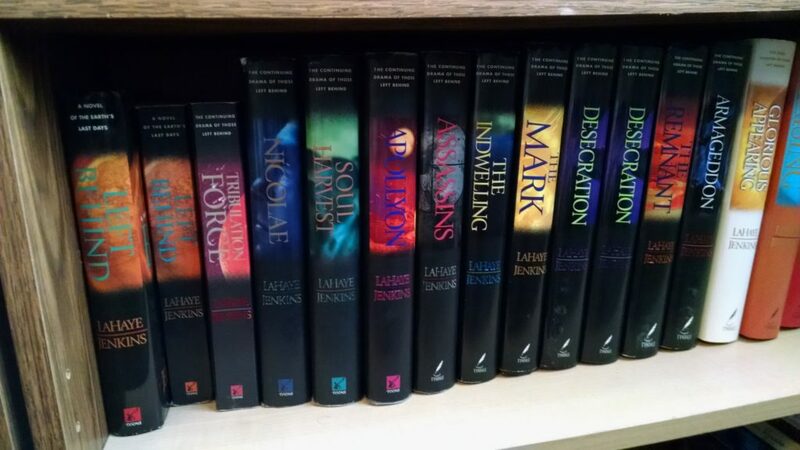 So thanks to the DA series I can likely ignore the flaws that I’ve also seen in the LB novels. 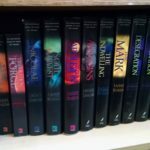 Yes, the LB novel series writing style has been described as dull, sparse, and surprisingly unexciting even about subjects such as potentially planet-splitting comets. For example, Jerry B. Jenkins was the brain behind the fiction, and he would sometimes write things like, “Bullets riddled the fuselage” and end with a period. Yes, I know authors should supposedly avoid using exclamation points, and if you believe that, then read period as a metaphor, not a punctuation mark. Bullets would riddle the fuselage — quite often because there was a lot of flying and thus a lot of fuselages — and the characters would react in period-like fashion. Audio actor Tom McElroy > Nicolas Cage. But in the DA series you didn’t “hear” “bullets riddled the fuselage.” Instead you heard “PAPWING-PWING-PWING-PWING,” often in surround sound, then your heroes would be yelling and scrambling and firing off Whedon-esque snappy dialogue.3 The LB books mentioned almost in passing that demon locusts from the pit chanted the name of their evil master, Abaddon. The DA has them snarling it aloud by the thousands: “AH-BAD-ONN!” It’s exciting stuff, worthier of the scale and suspense of a pre-trib, post-rapture apocalypse. So sometimes when I wax nostalgic about the LB series, I’m not seeing words on a page; I’m hearing actors’ voices (the DA actors were amazing) and sound effects and synth score. I said this at CAPC and I’ll say it again: “I just wish more evangelicals realized Left Behind is still just end times fantasy and could have fun with it anyway, rather than taking it all so seriously.” Now that sounds more negative, as if I’m a critic who derisively claims, “Well, that’s just fantasy.” Not my intent. LB is cool fantastical, and has all the hallmarks of such. “The most evil of all Evil Overlords”4 rises to power. They join with other secret societies from diverse nations all over the world. World War III. Four horsemen. Plagues galore. Miracle-workers. Counterfeit resurrection. Satan. More Satan. Then full-on mid-dystopia. Yes, the LB series was exploring pre–, mid–, and post-dystopian storytelling before it was cool. All keep fighting until the return of the King to set everything right and bring paradise. Here’s where I defend Jenkins a little bit, because you can’t really fault a creator for doing something he absolutely intended to do. Some people want to write something brilliant and then accidentally write a pathetic parody of their own grandiose idea. Others know exactly what will sell, who they are writing for, and what they’re doing. I would put LB in the latter category. Its authors wanted to make potboiler thrillers with Bible verses and that’s just what they made. If you open the books expecting otherwise, you’re gonna have a bad time. But more often than you expect — after my recommended lower expectations — even the books rise up and surprise you (without the benefit of actors, synth score and soundscape). “Not your momma’s Christian fiction” since 1999. Rayford gets his own excellent story arc between books 5 and 7 when the story raises some intriguing questions: Can a faithful believer assassinate the Antichrist if he can justifiably claim “the prophecy made me do it”? Slight spoiler here, but folks who complain about (or applaud) the cleaned-up world of Christian fiction should take note of how Jenkins explores and ultimately resolves this question. Rayford, the professional pilot and “good” Christian, sinks into depression, fits of outrage against his allies, and assassination plotting. Spoiler: the story does get him off the hook for Antichrist-murder. But he is forced to be a fugitive and face his own deep-seated sins — even though he did end up contributing to the fulfillment of biblical prophecy (as the authors understand it). Some character may seem flat, especially given the writing style. But overall they sound and act different, have their own agendas, and do have color, even if the reader must fill in the lines. That’s more than I’d expect from simplistic thrillers. And for critics sick of uniformly white Christian novel characters: later I’ll explore diversity. The TVTropes people offer one understandable criticism about the series: that it presents a “cozy catastrophe.” Well, some of that was only in the first book, and here I have to grade on a curve: up until then previous attempts to fictionalize “the Rapture” were even worse. It’s not like Christians often fictionalize real-world consequences of massive catastrophes. And if it was only Christians who did this poorly, there wouldn’t be a trope for it. But overall LB successfully conveys that sweeping sense of flying about the whole planet and landing in strange airports with passports and hotels and disasters and bad guys and the whole caboodle. Folks laughed at the Americanized version of Israel in earlier novels. Yet I think the author(s) took this criticism to heart and put more research into the later installments.6 Israel got more Israeli, African nations got more African, European chase scenes got that Bourne Identity vibe, and all of them got worse as the story became mid-dystopian. Personally I wished for more worldbuilding in the novel series. In the DA when you went to New Babylon, capital of the Antichrist’s evil world-empire, you could “hear” more fancy city and bureaucracy thanks to all the little atmosphere tricks and background tracks in the soundscape. In the book series you only heard, I think once, that the evil capital has golden spires like those Sunday-school pictures of heaven (in America, that is). But again I think this was a conscious choice of the author(s). They didn’t want lots of description anyway. Next week: exploring the fairly awesome action, “preachiness,” and secular fanbase of LB. Well, I’m just here to see the response. 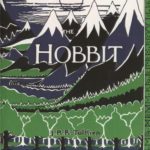 I don’t have any plans to reread the series any time soon, but I don’t see why people dislike it so much. But I’m largely nitpicking. Overall, I *love* listening to the audio drama. It’s a blast. It’s also proven to be an encouragement to my faith at times as well. There are other things I could complain about, but in all honest, it’s the slow pace that makes the Left Behind series a bag of snoozes for me. It’s been years since i’ve read any of the Left Behind books. I remember my parents let me start reading the adult series when i was thirteen. I caught up to where my mom was sometime before book #8 came out, and we waited together for the next installments. I know that, at the time, i really liked a few of them. Apollyon was my favorite and the one i was most inclined to re-read parts of. I think i also liked The Mark more than some of the others. 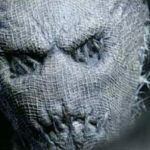 I also know that a few of them – Soul Harvest, The Indwelling – were so slow and dry that it was a real chore to get through them. Around book #10 or #11 i started to lose interest. I skimmed Glorious Appearing and didn’t read anything after that. I read the ‘kids’ books as well. Talk about dramatic! Some of their plot threads worked better than others, but i think on the whole i enjoyed it more than the adult series. They managed to avoid most of the ‘sit around and wait’ stuff going on in some of the adult books, and personally, i think it handled its female characters better. After the first couple books Chloe spent most of her time cooped up in a safe house, and while we were told she was doing a lot of exciting, important stuff, we never got to see her do it. Looking back on them, i’m not sure how much i’d like them now. There were definitely elements that didn’t make sense or work well, but nostalgia is a powerful thing, and there were parts that were good. Twilight is better than Elsie Dinsmore. Your cousin’s Twilight fanfiction is better than Elsie Dinsmore. M. Night Shyamalan’s The Last Airbender movie is better than Elsie Dinsmore. It’s faint praise, i admit, but i did find Elsie Dinsmore enjoyable from a certain perspective. It was like a Victorian soap opera. Has anyone read the ‘modern’ updates….can’t remember who published them, but there were revised versions of Elsie Dinsmore and her relatives that were okay. Elsie is the classic picture of what some men think a woman ought to be, but to see her as a true role model of godly womanhood is far from biblical. She acquiesces, she emotes, she is emotionally strangled, and she is physically and spiritually perfect. But it is through that perfection she is able to have significance, including bringing about the eventual salvation of her father. The message is clearly given to little girls that if they are perfect enough, they can be loved and accepted by both God and man. In no way does she represent a real woman addressing the real issues of life, nor the truth of the Gospel message of salvation by grace alone. That was an interesting article. I’m always interested to know why someone likes what I loathe. Maybe I need to rethink things. 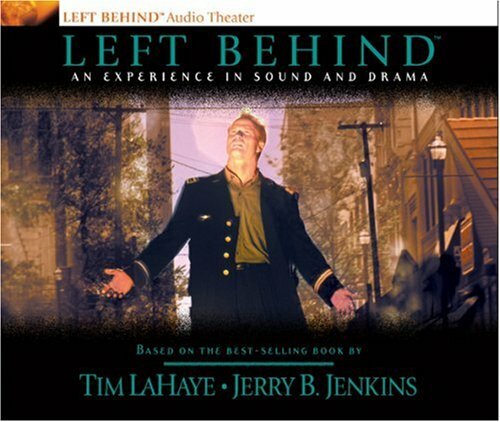 My problems with the Left Behind series went beyond the fact that I am an Evangelical who doesn’t believe in the credibility of the scenario advocated by LaHaye/Jenkins. In fact, I think its based on unsound Biblical thinking. But I am welcome to the idea of a good drama based in this interpretation of the end times, and the problem is that Left Behind failed to deliver because of two key flaws. First, the twelve novel approach and the AD having 12 parts per story was a blatant case of letting symbolism (the whole twelve tribes bit) trump storytelling. It resulted in a narrative that seldom went forward much or stalled out making me very impatient. The end result was not a well-crafted storyline but more of a shaggy dog type story in which yes, the general end was there but in order to justify this twelve part approach we would get pointless padding like Rayford’s second marriage etc. The other flaw is that these protagonists, were how shall I say it, too “perfect”. It seemed to me that in order to cater to the demands of Christian publishing, we could not have heroes who IMO if they are “Left Behind” should have been people with sinful issues beyond the “Indifferent churchgoer” type which seemed to describe *EVERY* protagonist. We should have had characters with more serious flaws like say, actual adultery, drinking etc. or those prone to indulge in four letter words because honestly, realism would indicate that these are more likely to be people prone to that behavior and yet there was something too pat about making Rayford someone who thought of an affair but never did. 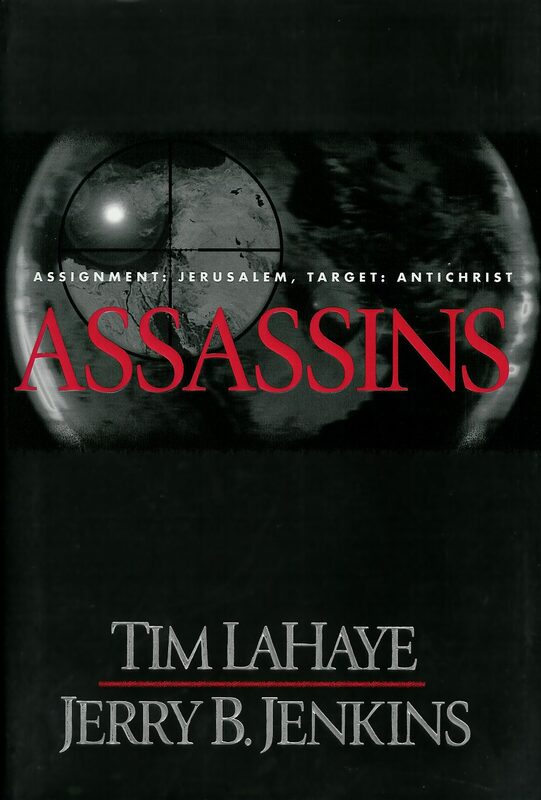 Finally, let me also get in a few words about the failure of LaHaye/Jenkins to properly do some background research on a few matters that undermined the credibility of the stories. Commercial pilots like Rayford Steele do not fly the President’s plane (the convenient plot device to set up Rayford flying eventually for Nicolae), the President’s plane is flown by Air Force pilots (that’s why it is called Air Force One!). Also, the inside joke of aliases drawn from the names of former baseball players really got tiresome after a bit.